Activision announced today that Guitar Hero TV, the constantly rotating stream of music on one side of Guitar Hero Live, will be shutting down in December 2018. 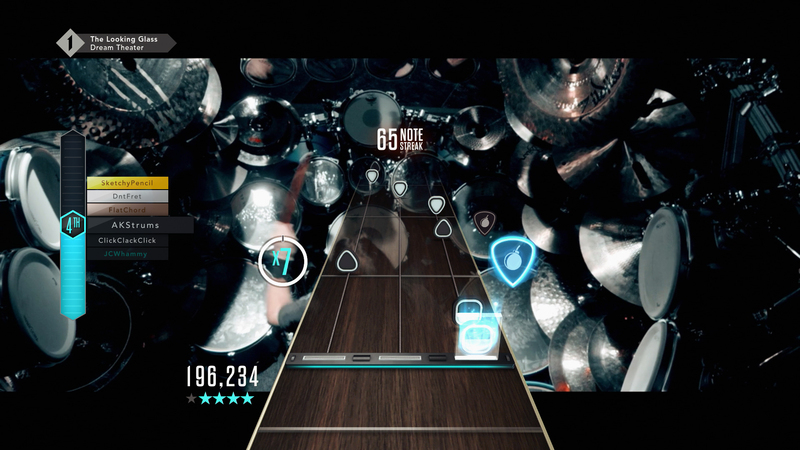 GHTV was one half of Guitar Hero Live, with the Live side being a more traditional career mode, shot using live video from a first-person view. Those 42 songs will still continue to be available for players offline. As part of their attempt to reinvigorate the plastic-instrument boom of the 2000s, Activision switched up their DLC model for Guitar Hero Live. Instead of downloading each song, individually, players gained access to a streaming playlist of music videos that they could hop into at any time. Each week, additional songs, shows, and special events were added to the two channels that just kept broadcasting music. If you wanted to play songs on-demand, rather than from the radio stream, you could spend money on HeroCash that would give you free plays of any music on the service. In theory, it’s a great model. You don’t have to spend hundreds of dollars to acquire new songs. You get the opportunity to discover new music. You can just play casually with whatever is streaming or spend money to play on-demand. However, we are currently seeing the limitations of this streaming model and how a lack of support can cause the game to close down for those that loved to play it. Anyone who is used to the 280+ songs on GHTV will be losing access to them come December 1, 2018. That’s more than 85% of the music featured on Guitar Hero Live. Our own review loved the idea, but the inevitable vulnerability of hinging an entire platform on an online service such as this means that a large portion of what we loved about Guitar Hero Live is about to be gone forever. When the plastic instrument craze failed to really catch on again the way it did in the mid-2000s, Guitar Hero Live’s fate was sealed and it was only a matter of time until Activision decided to shut down the live service. Are you surprised about Guitar Hero TV shutting down? Did you still play Guitar Hero Live? Will you be hopping back on in these last few months to get a few setlists in before the servers go down forever? Let us know in the comments below.